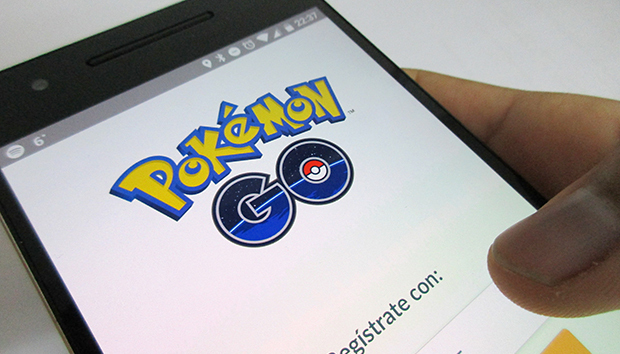 The explosive popularity of Pokemon Go has been accompanied by some nagging bugs. Niantic Labs is squashing some of those and bringing in a few helpful features to smooth out the experience for those who play the ultra-popular game. The update comes with two version numbers: 0.33 for Android and 1.30 for iOS. According to the official changelog, the game will nag you if it perceives that you’re driving while playing. You can also now change your nickname if you don’t like it, though you only get to do it once. The update also includes at test of a new “Nearby Pokemon” feature with a small group of users. A few players were able to spot the feature and post screenshots, which shows you what creatures may be nearby. It's a huge improvement over the broken radar feature. All users, even those not in the test, will see a "Sightings" section showing which wild Pokemon are in the area (but not their actual location). The Nearby feature is rolling out for a few lucky players. Also, battery saver mode is back for those on iOS, as the Pokemon Go team says it’s fixed some lingering issues with the feature. To get the update, make sure you have the latest version of Pokemon Go from the App Store or Google Play. The impact on you: These are helpful improvements that will impact a large number of people even though the game hasn’t finished its worldwide rollout yet. The popularity is evident, as Pokemon Go has over 100 million downloads on Google Play and at least 50 million on the App Store. But Niantic Labs still needs to do more to ban cheaters, bots, and add in new features. Imagine how great all of it would be if played out on our ultimate Pokemon Go phone.